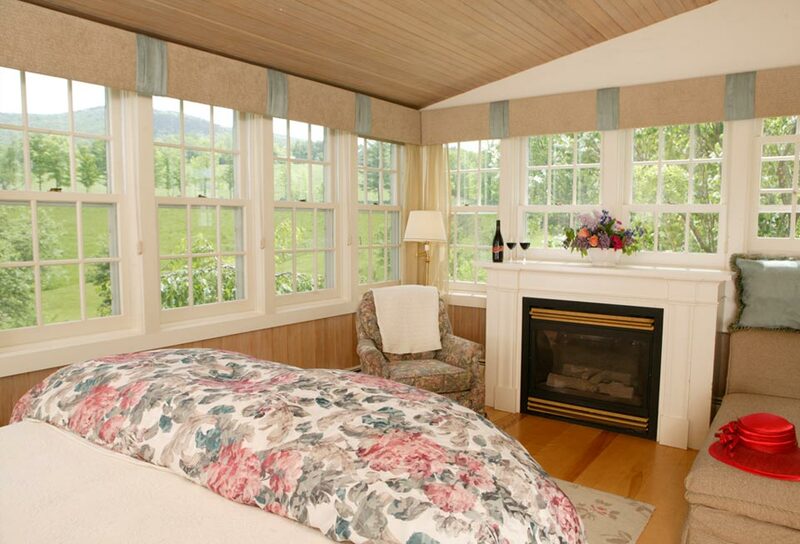 Windows upon more windows invite you to loll on the bed in sun-splashed splendor. 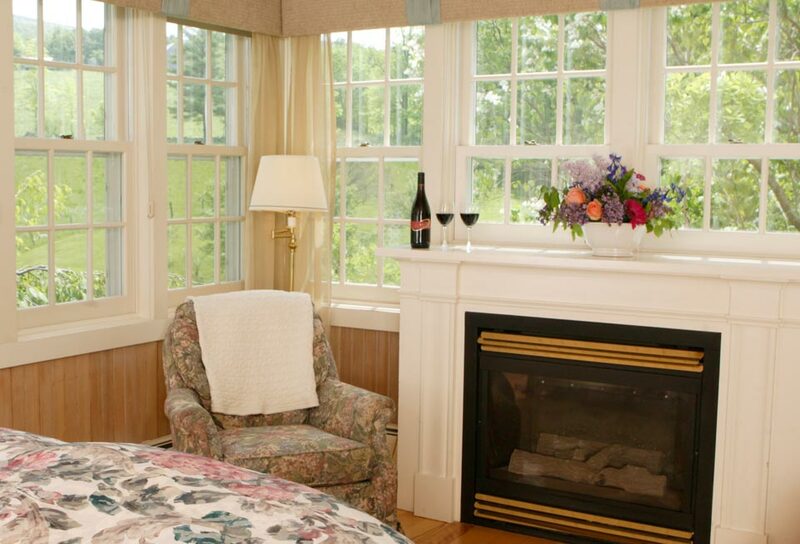 Wrap-around views of our Vermont B&B grounds and the mountains beyond are the key feature of this cheery corner room, which also includes a queen bed, sitting area with chair and chaise, gas fireplace, and private bath with tub and shower. 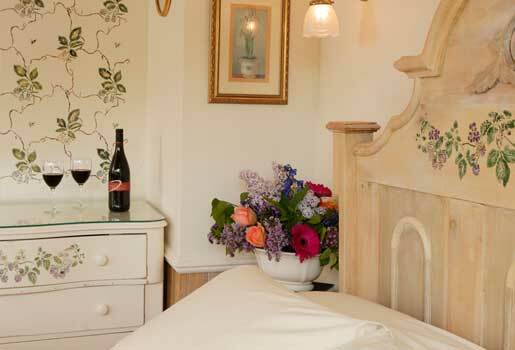 This room in our bed and breakfast in Vermont offers wireless internet access.